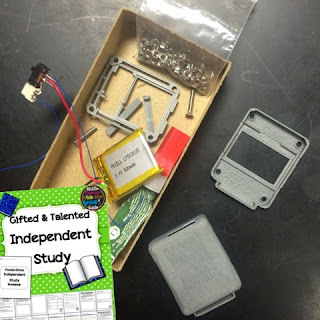 This year was my first year implementing a passion-based independent study. I implemented it for students in grade 8 back in February and shared my preparation in a blog post: here. Now that I have one full year completed, I am excited to share our results and reflect! This is a picture of the packet photocopied for all students and staff mentors to work through. The students took their time and parents were informed of the packet and the importance of the process of taking the time to pick a topic the student(s) were passionate about. This is the packet I used to organize the study. The students picked 1-3 topics that they could see themselves being passionate about working on. I then reached out to staff with the students interests. The Grade 8 Gifted and Talented students are currently working on independent study projects. 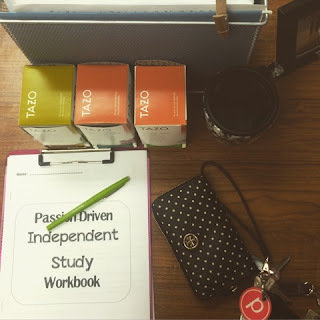 The independent study will allow students to study their passion or master a new skill, meeting once a week under the guidance of a mentor teacher. We are seeking teachers who have comfort in any of the above topics to act as a mentor to a student or pair of students. A weekly meeting schedule will be individualized between the student(s) and teacher. Please reply to this email with your interest and possible areas that you would feel comfortable overseeing a student's independent study. I worked to match up students with staff members who had an interest in facilitating their study. (Ideally, in future years, it is my hope that I can build a data-base of sorts for community members who would be willing to volunteer or provide experience for the students. Even if the student is still matched up with a school-based teacher mentor, the teacher would then be able to facilitate communication with the community members. That is my goal for next year). After matching students and mentors, some students opted to work in partners, based on their interests. The students met with their mentors and finalized the topic and direction of their study/project. 1. Coding: Three 7th grade student worked collaboratively on coding. 2. Writing: An 8th grader wrote, edited, and revised a short (188 page) novel she had been working on with the goal of potentially publishing it. 4. Architecture: Two student worked collaboratively on researching and completing a project related to architecture. 5. Computer Science: One student worked independently on computer science/programing with Raspberry Pi, a credit card-sized single board computer. He supplied the device. 6. Music: A student worked on music production with the program "Fruity Loops" on his computer. He supplied the program and worked with the school music teacher to receive feedback on developing his own songs. 7. Stocks: Two students researched and completed a project in the area of stocks investments and finances, developing their own portfolios. This is a picture mid-study of the student's progress who was working on Raspberry Pi. 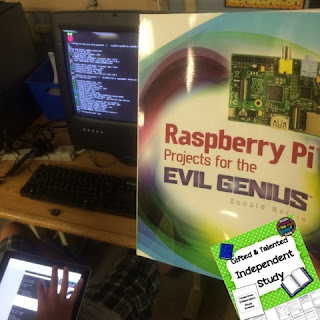 His mentor purchased the Raspberry Pi Projects for the Evil Genius book and was able to find some projects that appealed to him to work on. This year, the students had four months to complete the projects. We had our initial meetings in January/February and the students presented their work in June. Next year, I plan to start the project mid/end of September and end it in April-ish...giving the students more time to work and ending it earlier than the hectic end of the year. The students met with their mentors approximately every week. The students liked arranging this independently with their mentor and working around their individual schedules. Some students felt they finalized their project and others felt they simply make progress on a long-term project (such as writing a book or learning raspberry pi) that couldn't be accomplished in the time period given. For these students, we make sure to have them set goals for what portion of the long-long term project they were hoping to complete. At the end of the project, the student had a very relaxed session where they came and had ice cream and informally shared their work. This seemed appropriate for the time of year (very hectic end to 8th grade year with finals, etc) and the students' feedback was that they did not want to share their work publicly. However, this is an area I think I would like to add on to for next year. I would like to find a way to keep the study low-pressure and to focus letting the student explore their creativity with their project, while still highlighting their extra efforts and work! This is a picture towards the end of the study of a student's Open Source Smart Watch. This was one project that was not finalized at the end of the study, which we anticipated due to the intensity of the project. The student impressively was able to design and build the hard shell casing with a 3-D printer and got the battery working! She still has about 10(+) hours of intensive work left to finalize the inside of the watch, which we plan to finish over the summer or fall in an extended independent study! You can check out my packet on teachers pay teachers: here. I would love to hear feedback from anyone who used an independent study. How did you structure it? What was successful? What would you change?